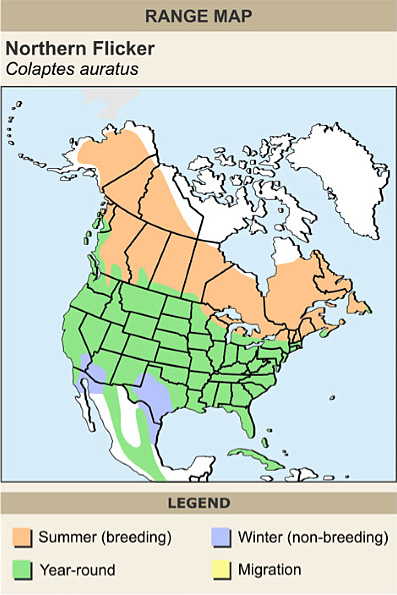 This showy, medium woodpecker can be seen in Canada from Yukon to Newfoundland, often favouring the ground in woodlands and forest edges near open habitats, yards and parks. They have barred brown upperparts and pale spotted underparts, with a black bib on their upper breast. 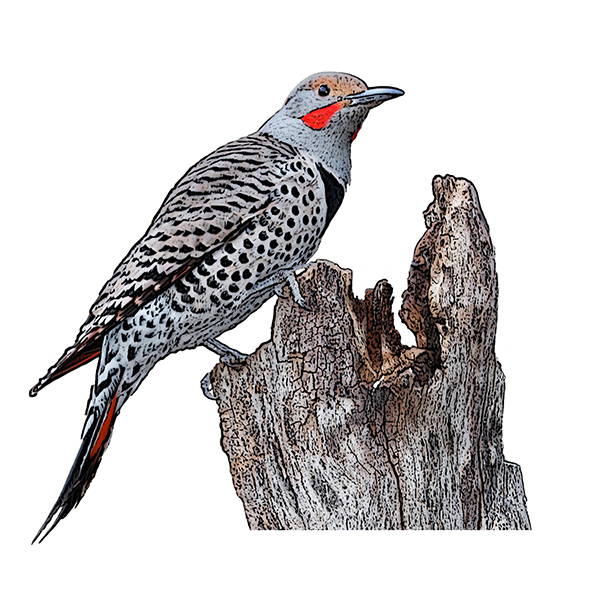 In the east, northern flickers have bright yellow feathers on the undersides of their wings and tails; in the west, these feathers are red.